Improve The Look of Your Skin! 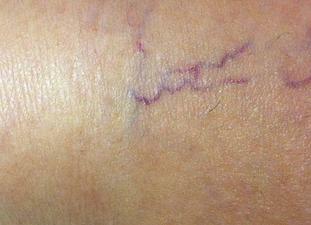 The laser is very effective in eliminating this vascular problem. In most cases one to two sessions is all that is required. We have obtained amazing results on red spider veins in the nose area, where the veins sometimes vanishes in front of our eyes! The treatment of leg veins can be a very gratifying experience for both men and women, especially for the person with spider red vessels. The Cynosure Apogee Elite laser targets only the hemoglobin in the vessel while protecting the surrounding skin. 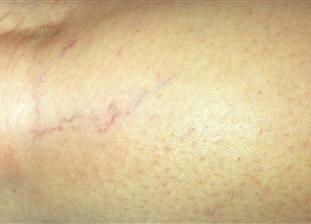 The targeted spider vein is coagulated causing it to collapse and forcing your body to absorb and repair the area. YOUR VEINS WILL VANISH IN FRONT OF OUR EYES.